Although it may be the largest city in North Carolina, Charlotte still delivers an abundance of Southern small-town charm. 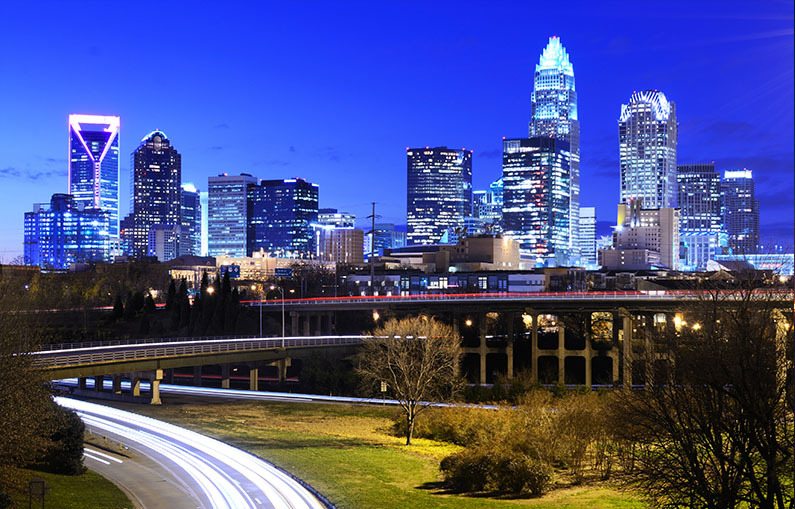 Dubbed the “International Gateway to the South,” Charlotte is an epicenter of travel, entertainment, and industry. Originating from the Czech Republic, Metalmorphosis is a you’ve-got-to-see-it-to-believe-it art installation by sculptor David Cerny. This isn’t your run-of-the-mill sculpture: it is a sculpture that moves. This high-concept work is a permanent fixture in Charlotte, and is composed entirely of mirrored stainless steel. The 7th Street Public Market packs an atmospheric punch: step through on a crowded Saturday morning or a random Wednesday night and you will find fantastic flowers, North Carolinian produce, and rows of local treats. Whether you’re grocery shopping or people watching, the market is a great spot to spend an hour (or three). Home to handmade beer soaps, classic pimento cheese spread, and The Great Cookie Crumble (an annual contest to find Charlotte’s greatest cookie) the 7th Street Market attracts foodies, shoppers, and artisans alike. The site of the world’s largest artificial whitewater river, the U.S. National Whitewater Center is a mammoth Candyland for the outdoor enthusiast. The spot is an official Olympic training center, though it’s open to the public, too—guests can buy day passes and spend time kayaking, rafting, climbing, or ziplining (or watching daredevils partake from afar). For non-thrillseeking enthusiasts, the center also hosts a yearly “River Jam” concert series, which takes place outdoors beside the whirl of the whitewater rush. Charlotte is full of hidden nature coves, and The Big Rock Rock Shelter is one of the best. The site hosts 22 acres of woods, and of course, “The Big Rock.” Its immensity is impressive, and the serene wooded area offers a fantastic getaway from the nearby city. A great spot for photos, hiking, or just some peace and quiet, the Big Rock is a worthwhile adventure.